Clarins' 7th Generation Double Serum hit stores last month, and has taken the beauty world by storm already! After attending the press event back in November and using the serum myself since then, I can see why there's such a hype built up around it. There have been many Double Serum concepts over the years since the 1980s; this serum in particular contains both the oil and water based treatments in one. It's said to be the next holy grail anti-aging skincare product for Clarins, and for only €69.50 it's quite affordable for a serum (they can be notoriously expensive)! Double Serum is recommended for people aged 25+ and is suitable for all skin types. I was reluctant to try it because of the age recommendation, but one of the Clarins experts at the event said to use it a few days a week (as opposed to daily), as there's no harm in preparing my skin for the signs of aging at 19. Double Serum targets the 5 vital functions to ensure youthful and healthy looking skin; hydration, nutrition, oxygenation, protection and regeneration. It contains kiwi, arnica, oats, organic green banana, lemon thyme and many more skin-loving ingredients. I use Double Serum around 2-3 times a week, applied after toner and before my moisturiser at nighttime. You pump it out once or twice, depending on how much you need. As the serum contains both an oil and water formula, you have to swirl them together before applying to the face. Clarins always suggest patting skincare products into the skin, instead of rubbing vigorously to prevent stretching, which can lead to premature aging. It feels light and refreshing on the skin, and sinks in within a minute or two. It smells beautiful but has very little scent once settled into the skin. It doesn't clog my pores and leave my face looking oily in the T-Zone area. I wake up the next morning with plump and fresh-looking skin, which is always a treat! The biggest overall improvement it has made to my skin is the firmness of it; it looks constantly plumped and healthy. I'd highly recommend trying this if you find your current skincare routine is lacking in something; a lot of the time skincare just removes makeup, tones, moisturises etc.. but the skin can still look dull and lifeless. I've been using my Double Serum since November, and I'm not even halfway through the bottle yet! It is an investment, but I do believe you get out what you put in when it comes to skincare products, as I've said before. I've only been using serums for around a year now, but they make such a huge difference to the face! If you've oily-combination, young skin like me, I'd advise using them at night every few days. I predict big, big thing for Double Serum! 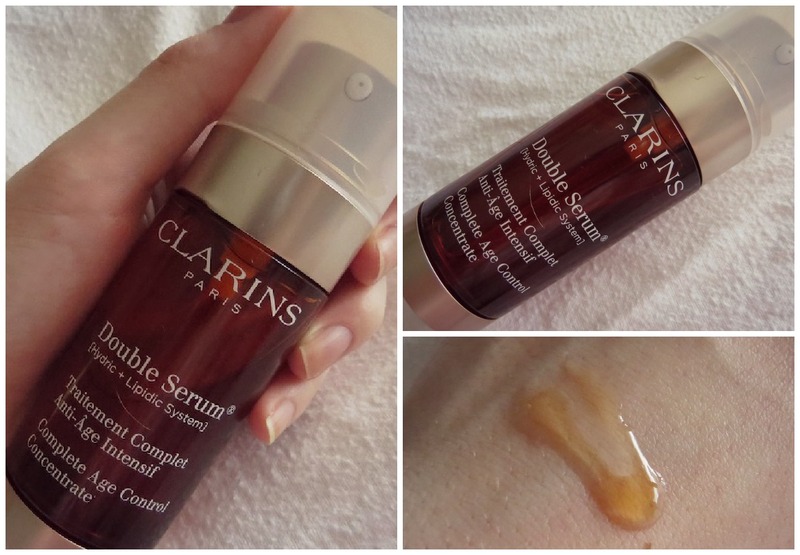 Have you tried Clarins' Double Serum? Will you be buying?